We are aware that all websites are hackable. But, do we perform regular security checks on our web applications? For some of us, these checks are done at times by ethical hackers who report the detection of any threats. However, there are times when we can just get exploited by a black hat hacker, one of the bad guys. Companies dealing with storing financial information, sensitive user data, or private content are becoming frequent hacking targets. For instance, to make just one online payment we give in all private details like bank account numbers, credit/debit card details including our login IDs and passwords. It is the responsibility of these companies to safeguard all such private data, but with hacking techniques becoming more and more sophisticated these days, there is just no guarantee that all these details are well protected. Website owners will thus have to be cautious of all the latest website vulnerabilities and they should find ways of identifying these weaknesses and preventing them. One effective way to achieve this is by using a website vulnerability scanner. An efficient website vulnerability scanner will be capable of identifying all dangerous vulnerabilities and every single scan will start by testing the equipment that hosts your website. This is essential because no matter how carefully coded your pages are, if the host equipment is vulnerable then your website is at risk. To recognize vulnerabilities in web applications, hackers use their own versions of automated scanners. 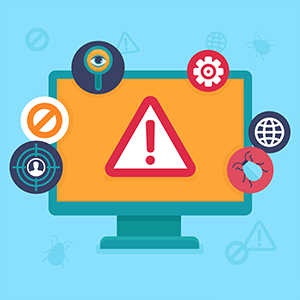 By employing an automated web application security scanning process, an organization will be able to perform a vulnerability test in order to avoid any vulnerability that permits attackers to attack your website. The only way to prevent attackers from targeting your website is to use automated security tools that will help detect the vulnerabilities even before they do. One efficient tool that can help you achieve this has been developed by Comodo, a cybersecurity company. This web security tool called cWatch Web is the best website security scanner you can have for your website. The software operates using the Content Delivery Network (CDN) to host the free web vulnerability scanner tool at strategically placed servers all over the world. This technology is called Comodo's high capacity cloud. Comodo cWatch has an excellent technical design capable of delivering benefits like ease of deployment and agile response against threats. DDOS mitigation is one feature that fights DDOS attacks which can go to the extent of crashing and shutting down your website, thus denying service to your regular website customers. The free web vulnerability scanner tools feature allows a shutdown to be avoided while stabilizing website traffic. This indeed will help to win you more satisfied customers. Comodo cWatch Web enabled websites will be able to leverage Comodo’s secure CDN in order to increase performance and traffic to be monitored via a centrally managed Security Information and Event Management (SIEM). The SIEM offered via the cWatch platform is responsible for the early detection of breaches and threats, log management, compliance reporting, and rapid incident response times. This feature is executed with threat intelligence data from Comodo’s 85 million global endpoints and more than 100 million validated domains to detect risks even before they arise. As the best website vulnerability scanner, cWatch Web will be able to discover and map all devices and web applications on a network and then execute a complete scan, with Six-Sigma accuracy. This will be followed by prioritizing results of identified vulnerabilities along with detailed instructions in order to quickly fix any security threats found. Alerts are instantly sent to the Comodo Security Operation Center (CSOC) that holds a team of certified analysts working round-the-clock in order to deploy updates to the Web Application Firewall (WAF) and remove the threat before it hits the network. This web security solution also has an excellent malware detection feature that can identify malware, provide the methods and tools to remove it, and prevent future malware attacks. You will then be able to download compliance reports that can be submitted to bank(s) automatically or manually via the cWatch Web platform. The PCI Scanning feature will allow customers to stay compliant with PCi DSS. Individuals visiting your website will have cloud-based protection and an intrusion prevention system that has the potential to eliminate application vulnerabilities and protect against sophisticated website attacks. Thus, with cWatch Web you not only get a good website vulnerability scanner as you can also benefit from other essential web security features that will run all the necessary scans and protect your website from any type of website attack. Get Comodo cWatch now!